Having the right trainer can be the most amazing experience of someone’s life. Having the wrong trainer can be the most devastating experience. Many people spend countless hours researching the purchase of a car, house or even a cellphone, so shouldn’t the same time and research go into finding a professional trainer to help you care for your most valuable asset — your body. Personal training does not come in a one-size-fits-all model. It’s personal. Every individual is a unique creation of body type, mind, lifestyle, background, tastes, strengths and challenges. So, we cannot all be, or do, the same things. 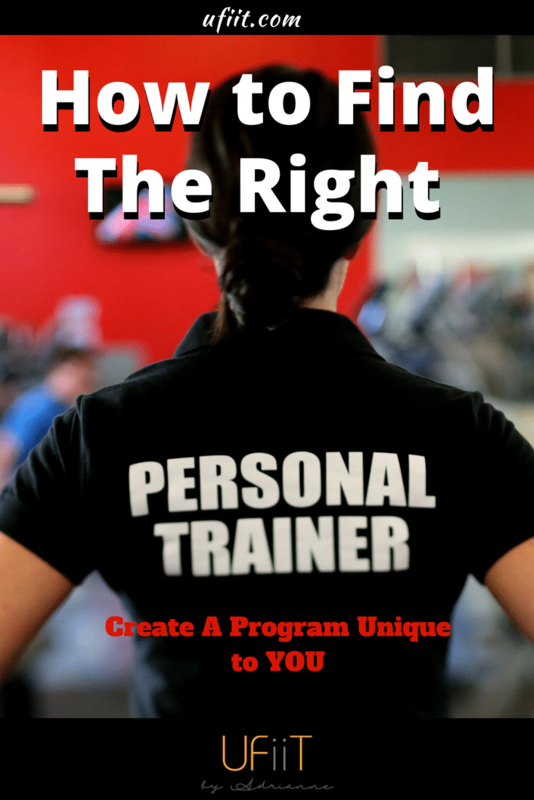 The right personal trainer will create a program unique for you, because fitness is not a commodity for sale, it’s a lifestyle. And any trainer who would focus on the hard sell and not your well-being likely isn’t the trainer for you. I interview my clients and they interview me. My practice is based on the belief that I can make your life better and healthier with my approach and your attitude. My clients determine if my methods fit with their personality and goals. Together, we determine the overall results we can achieve. Whether we are speaking about one-on-one or online clients, working together on an individual plan is the only real way to achieve long-term success. Body type – You need to know your body and discover how you would be directed to treat your body (which includes nourishment and rest). Health history – Injuries, surgeries, illnesses, medications. Milestones – Check measurements, blood, blood pressure. Accountability – On both ends and find out if it will be put in writing. Cordiality and comfort – You are going to be connected to your trainer for a long time, so you need to be comfortable right off the bat, a sixth sense kind of comfortable. Turn on your meeting someone new radar. Listen, observe and ask questions. Once these points are clear, it will be easy to connect with the right trainer for you. You’ll have clarity of expectations and you’ll know if you are being offered a generic fitness program or one that is tailored to you. Then you can make an informed decision. But don’t settle for anything less than amazing.